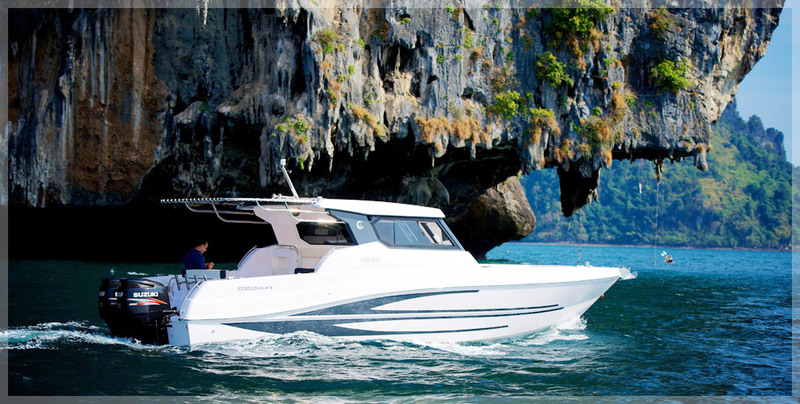 November brought the arrival of another SC33. 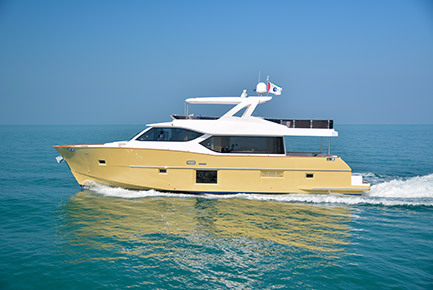 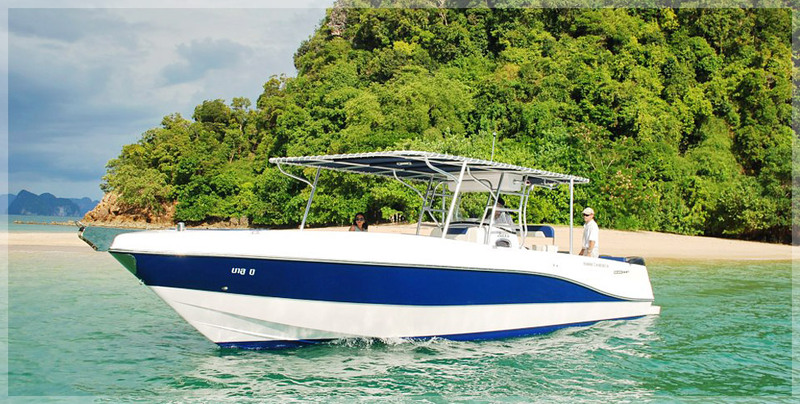 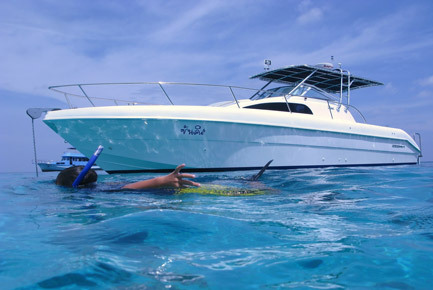 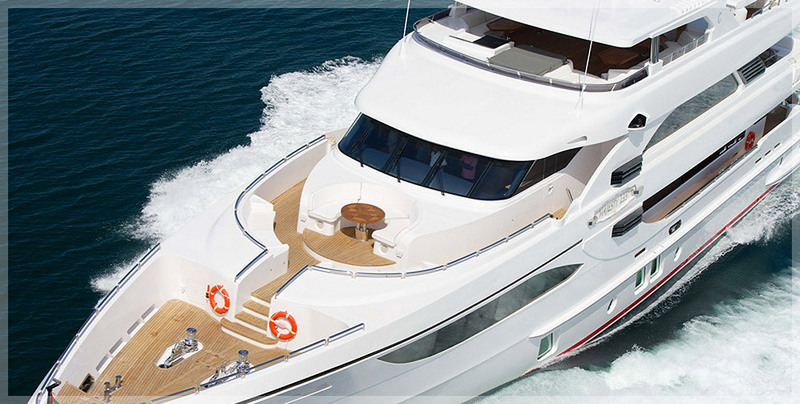 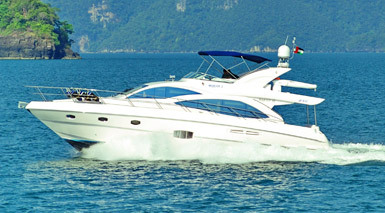 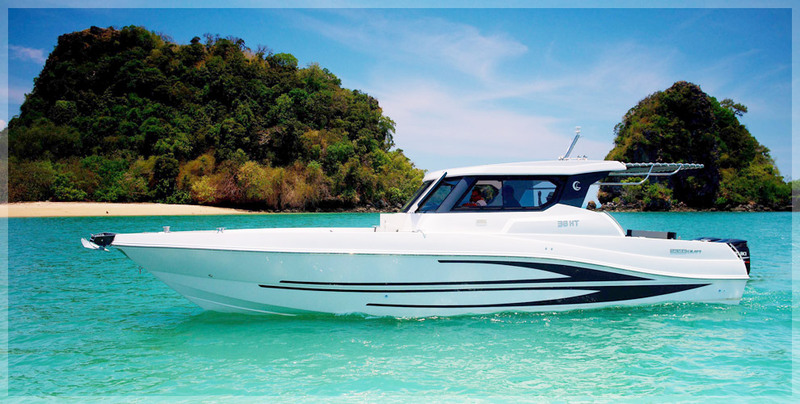 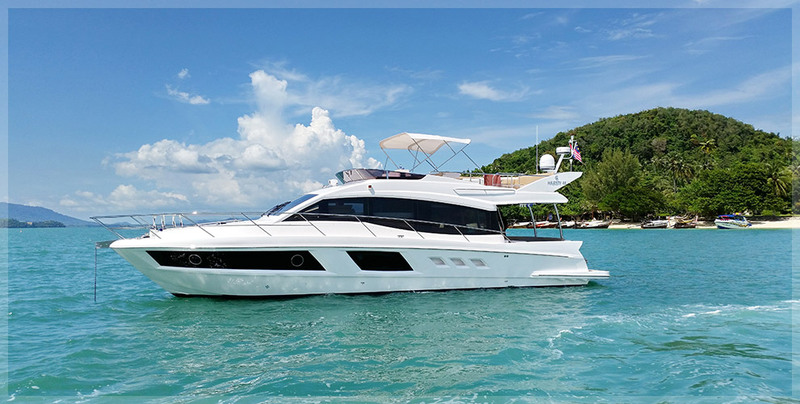 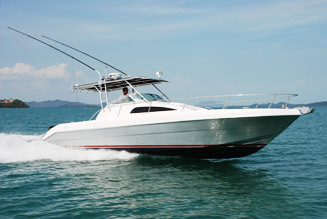 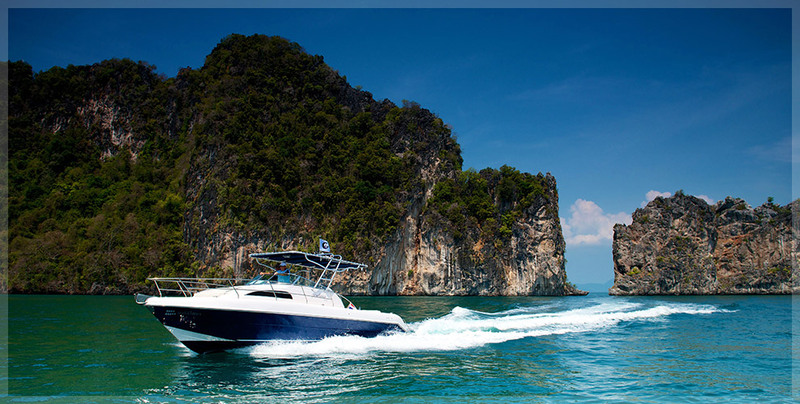 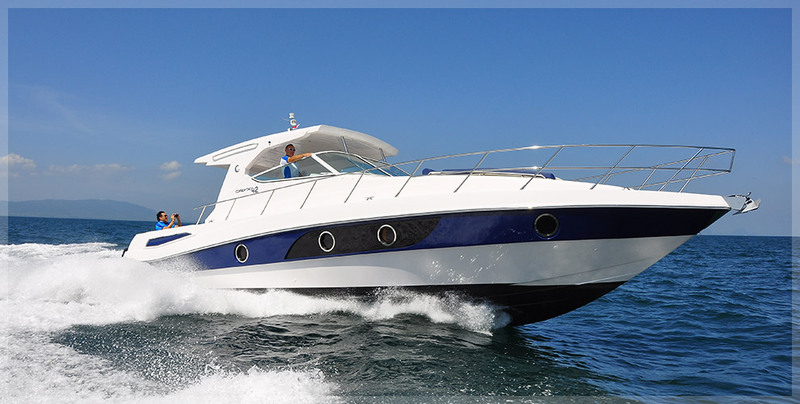 This striking model which is being seen even more frequently out on the waters is gaining huge respect within the boating community of Phuket. 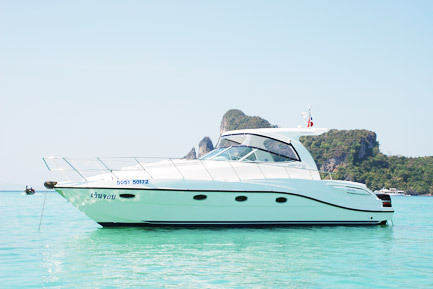 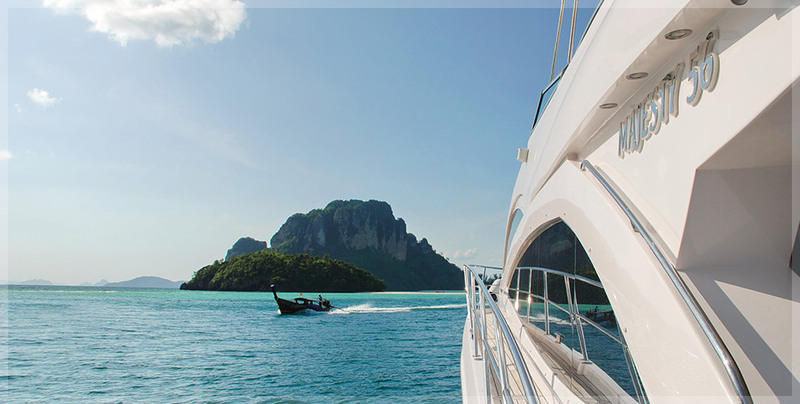 This particular boat destined for Koh Ratcha is a very high spec example. 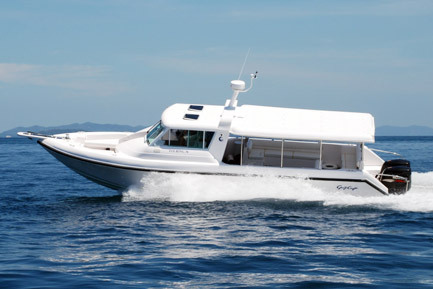 Fitted with 250hp Suzuki’s, Air conditioning and Generator, underwater lights, water maker and other gadgets will be delivered later this month. 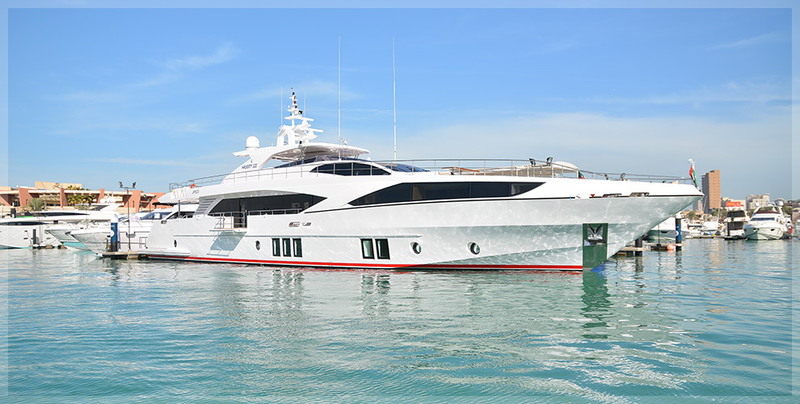 This vessel went through a striking transformation, by having her hull sprayed Silver with red Boot top lines, which is being expertly applied by the Go Boating service team. 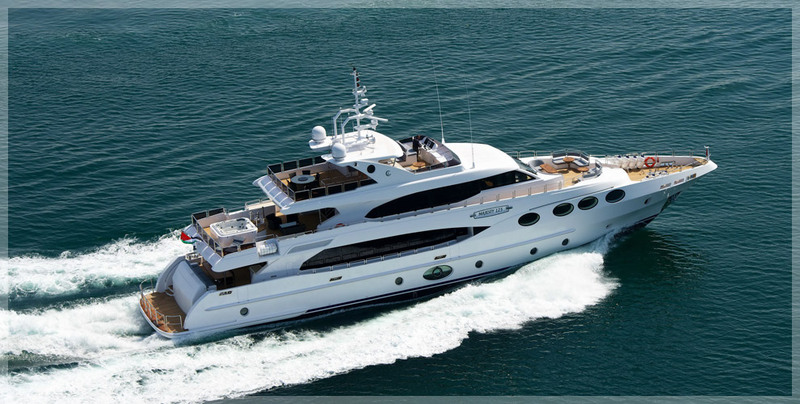 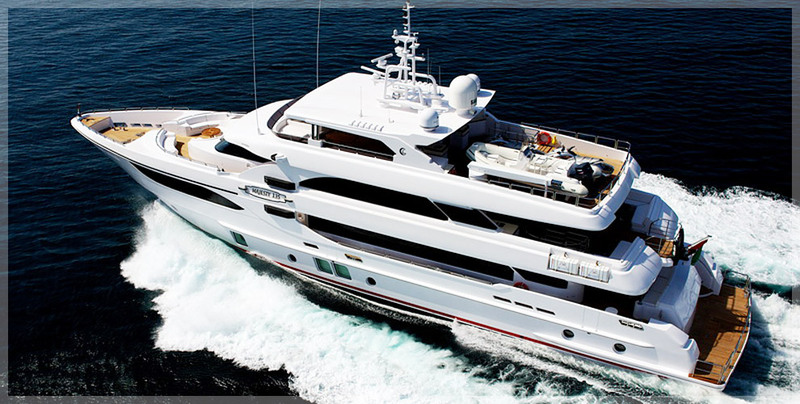 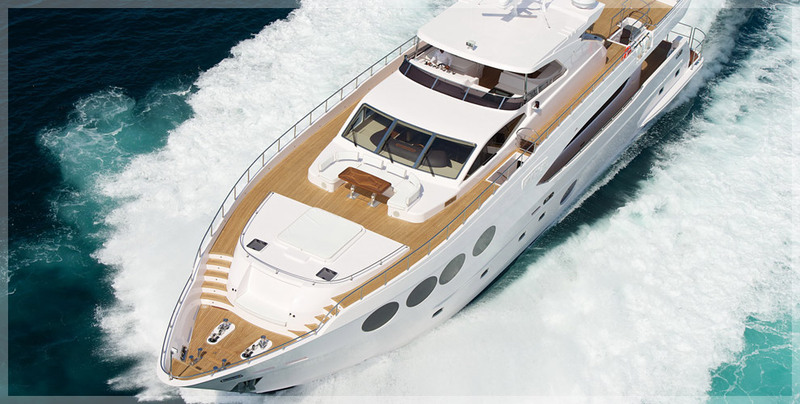 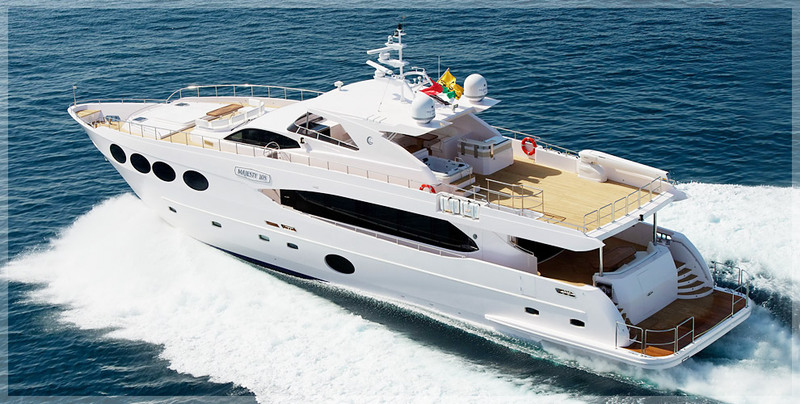 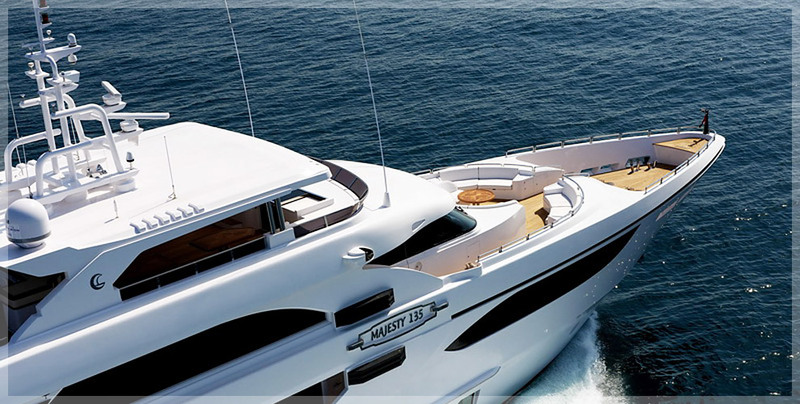 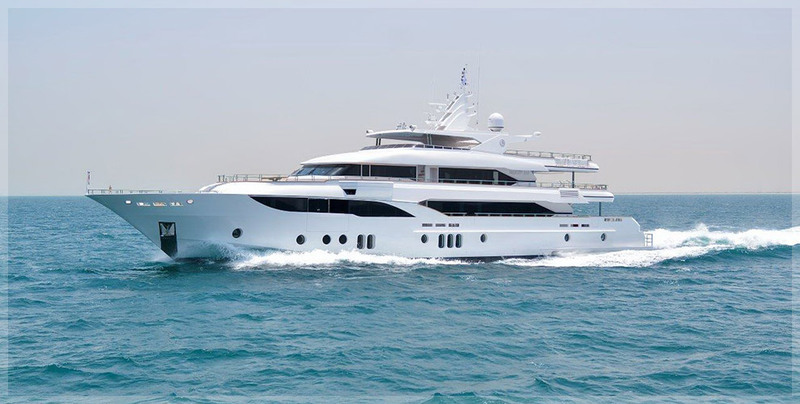 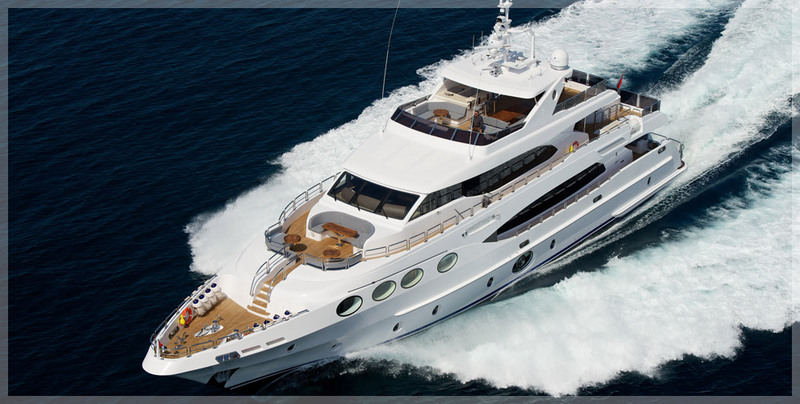 Along with her Black sunshade and covers, this colour scheme makes this vessel stand out from the crowd.